Untying the ropes and drifting away in a narrowboat is this summer's way to leave the stress of daily life behind. The appeal is the tranquillity of waking with the ducks, and the unhurried journey in mind rather than a destination. Taking charge of a tiller and handling the ropes is a rugged enough challenge to spice up the peace of it all. 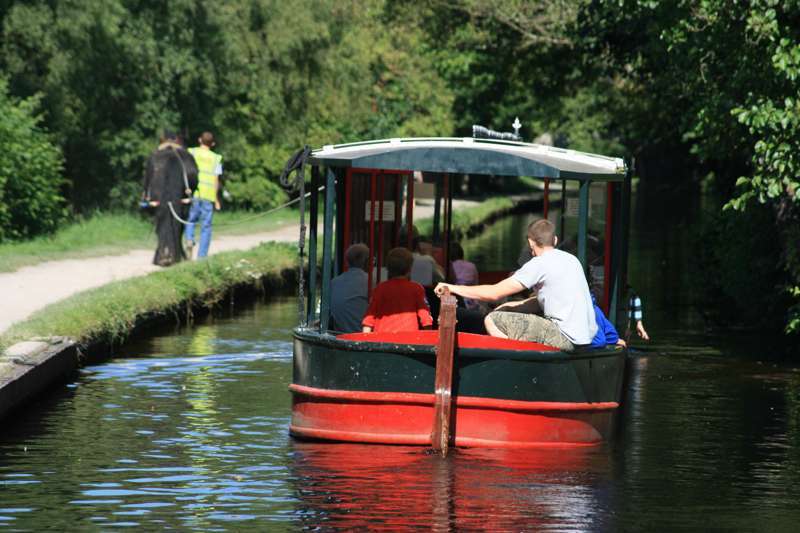 Holiday hireboat centres are based all over the UK on navigable canals and rivers, but here are a few of our favourite routes. Brecon is thought of as the outdoor capital of Wales, and the Monmouthshire & Brecon Canal is its secret hideaway, running through the heart of the Brecon Beacons National Park with the Black Mountains as a spectacular backdrop. It's isolated from the cruising rings of the mainstream canal networks, and that leaves an intimate cohort of boats free to roam at will. With only a handful of locks, this is utterly lazy water, but don’t be fooled by the tranquillity – the tumultuous scenery is a heart stopper, the route twisting under canopies of leaves before thrusting you into the sort of sublime panorama that only Wales can do. Features of interest include several lift bridges and Brynich Aqueduct, a four-arched aqueduct that elegantly carries the canal over the river Usk below. Part of the 97-mile-long Cheshire Ring, both a popular boating route and towpath walk that also covers parts of the Rochdale, Bridgewater, Peak Forest, Ashton and Trent & Mersey Canals, the Macclesfield Canal's unique USP is its so-called Snake Bridges, which once allowed the horses towing canal boats to cross on the towpath to the other side of the water without needing to be uncoupled from the boat. But there is much more to this canal than its quirky bridges, it’s a master of mixed identity, blowing north from the mild-mannered Midlands into the chunkier stoned canals of the north. Attractive, unspectacular, blissfully uninterrupted, the greenery is in charge and doesn’t let anything disturb it. The further north you go, the more peaceful the route becomes. Known by locals as the Happy Valley, Bollington has a discovery centre that tells the story of the town and canal, and you should keep your eyes peeled for magnificent milestones along the canal – unusually large for canal milestones, and made from Kerridge stone. Once they would have informed working boat crews on how any miles they had travelled, but during WW2 they were buried to stop potential invaders from finding their way around. Many were lost until canal enthusiasts in the 1980s found and restored the majority of them to their former modest glory. A journey from Birmingham to Worcester by road doesn’t compare to the one you can do on the Worcester & Birmingham Canal, stealing into Elgar country on a homely narrow waterway which despite being one of Britain’s most lock-ridden waterways is remarkably popular with holidaying boaters. Treats include tunnels reputedly inhabited by ghosts and the legendary Tardebigge, the longest lock flight anywhere on Britain’s entire canal system. Dreaded and adored in equal part, it climbs the Tardebigge with 30 locks that carry narrowboats 220 feet in both directions – a hilly journey that is more of a physical workout for boaters than walkers, indeed the Tardebigge takes hours longer by boat than on foot. To make matters worse, there is no overnight mooring allowed midway through the flight so it’s a fabulously gruelling, non-stop challenge. But there are compensations: halfway through the flight, views span as far as Worcestershire, Gloucestershire and Shropshire, the Malvern Hills in the far distance. This narrow, fantastically exciting canal deservedly attracts boaters and towpath tourists in droves. The Llangollen Canal sets off innocuously enough from Cheshire’s soft surroundings, working its way towards the mountains of North Wales, but just before it reaches its famous destination at the Eisteddfod town of Llangollen, the canal does its best to half scare you to death, taking you over magnificent Pontcysyllte Aqueduct, an inspirational feat of engineering that carries the canal over the river Dee and is one of the UK's most spectacular canal experiences. Nothing prepares you for the colossal drama of Pontcysyllte Aqueduct. It’s pure adrenalin. Eighteen arches held together with ox blood and Welsh flannel have kept the Llangollen Canal suspended in flight for over 200 years, and boaters steer into the flying bathtub, white-faced, while non-vertiginous walkers can brave the slim towpath hugging the water with 127-foot sheer drops either side. Llangollen too is lovely: you might want to explore Horseshoe Falls (created by Thomas Telford to provide water for the canal) or take a short horse-boat trip from the wharf before you head off. Only a short way into the journey, you’ll leave the crowds behind and the solitude of Wales bleats aloud with herons, sheep, kites and green space. Dinas Bran castle, built in the 1260s, is high on the hill, and there are dynamic views over the River Dee with picnic spots to die for. The Oxford Canal willingly performs the role of fair daughter to old father Thames, as she branches beautifully from the big river at her namesake city. Full of Oxford grace, this canal enjoys a rural amble, heading northwards until it reaches the Coventry Canal. The northern section is arguably less appealing, but its lower stretches performs a narrow dance through leafiest England, stopping off at irresistible real ale pubs and idyllic village, and passing through big skies, green fields and windmills – the English countryside at its absolute best. The stretch through Napton Locks is full of unspoilt pleasures for the boater, the route bedding and turing to make the route trickier for the tillersman than the towpath tourist. James Brindley built the canal in his typical winding fashion, flowing around contours rather than bulldozing a straight course, and its banks are bordered with glorious oaks, elders, willow, clover and grass. Visual highlight is windmill at Napton, which has been here since 1543 and dominates the landscape; it would have been a useful landmark for boatmen in the commercial days, though it's a long time since it saw proper action, and even on breezy days its sails don’t turn. This feature has been brought to you by our mates Martine and Philippa, who are incurably prolific towpath tourists, ambling and rambling the canals of Britain from Cornwall to Scotland.